Censoring climate change and its reporting is a big business, notably among fossil fuel obsessives and those in denial. It continues to fulfil a role in the policies of Australia’s Turnbull government. Even after the demise of Tony Abbott last year, his successor continues to scrub his own environmental credentials from his profile. As he does so, an assortment of weasel words have found their way into the political argot: “innovation”, “growth” and a host of other empty treats. Despite lauding various efforts to pursue “clean energy” (PM Malcolm Turnbull decided to reverse the previous leader’s decision to scrap the Clean Energy Finance Corporation), environmental politics in Australia remains a dirty business. Turnbull demonstrated as much in March by announcements that he would remove funds from the Australian Renewable Energy Agency and replace it with a new, slogan rich “Clean Energy Innovation Fund”. Turnbull is particularly keen on copyrighting innovation, a substitute, he finds, for actual de-funding strategies for the essentially redundant environment portfolio. This is only one portion of Turnbull’s strategy. Another is a no mean effort at censorship in an attempt to minimise the effects of climate change on Australia’s environment. The current prime minister is, after all, a businessman, and while he lauds efforts of Australian “innovation” in solar energy, ironically much of it being done in other countries, he is also happy to remove references to climate change when needed. Guardian Australia scored something of a coup on this tendency in obtaining the Unesco report on tourism and climate change at the end of last month. 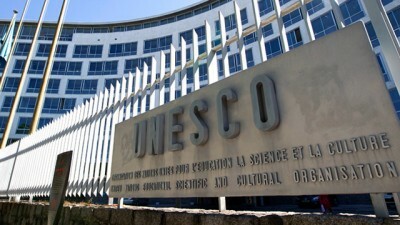 Titled “World heritage and tourism in a changing climate,” it was modified to incorporate Australian objections. In addition to this excision came two other sections. The Tasmanian wilderness, for one, receives no mention as being under threat, despite the appalling fires in early 2016. The deleted section on Tasmania in the Unesco report is cognisant of the “2013 assessment of climate change threat [which] identified the same habitats as at high risk from greater fire frequency and drier conditions, with likely catastrophic implications for fauna.” The calamitous fires of January 2016 bore out those “dire predictions”. Brands, reputations, labels, and management. Do not kick up a fuss and damage reputations. Those are the guiding words and principles in the Turnbull environmental protocol. Rather than providing genuine policy, these constitute the fundamentals of managing decline. And, in that universe, if profit can be made along the way, so much the better.